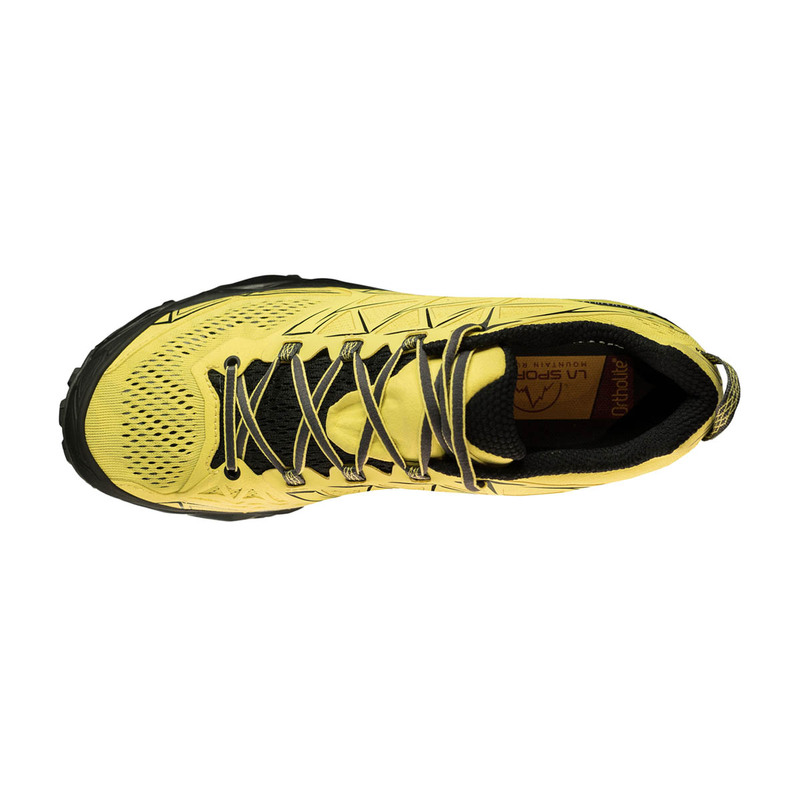 The La Sportiva Akyra is a fitting, comfortable, flexible, and protective mountain running shoe designed for long-distances, ultra-marathon running, and demanding training sessions. 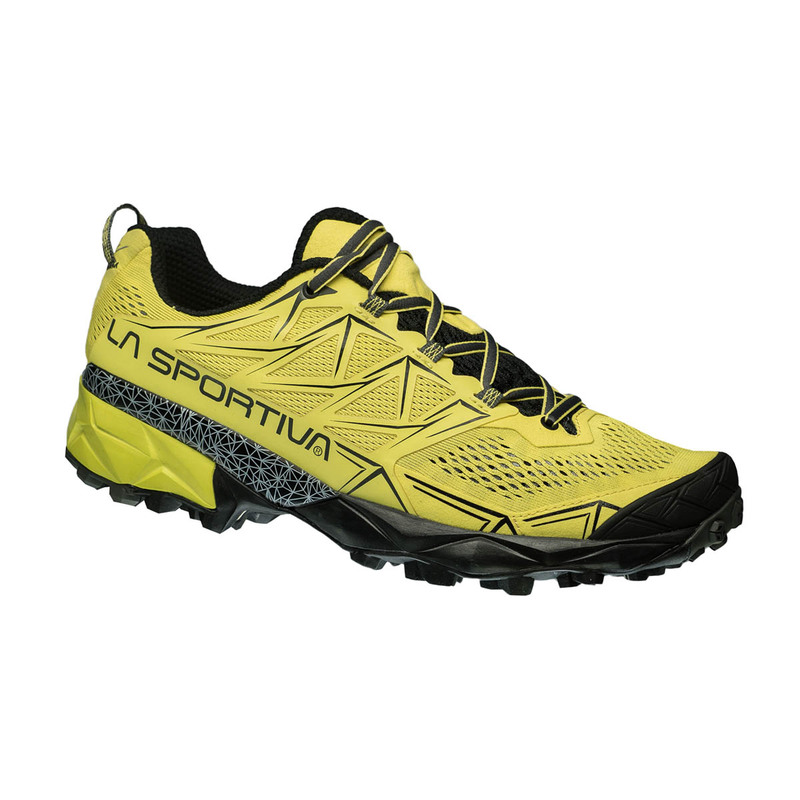 The La Sportiva Akyra is a versatile, all-round shoe designed for all types of terrain - including stone, scree, grass, moss, and mud - found on extended trail running. Its Flexion XT / Ortholite MR sole give it the perfect balance of grip, durability, and shock absorption that give it outstanding versatility, perfect for the long-distance runner who covers all different types of ground in a single run. The Akyra features an injected EVA midsole that offer a higher degree of shock dampening than standard EVA, and it will also retain its original shape for longer meaning you won’t lose any performance or protection after extended use. The Impact Brake System also massively improves braking power and downhill traction, making this shoe excel at downhill running. Perfect for the runner who needs a completely versatile and multifaceted shoe for performance in every situation. Absorbs negative ground impact, helps traction, and improves downhill grip, increasing braking power by an average of 20% and decreasing impact forces by an average of 20%. 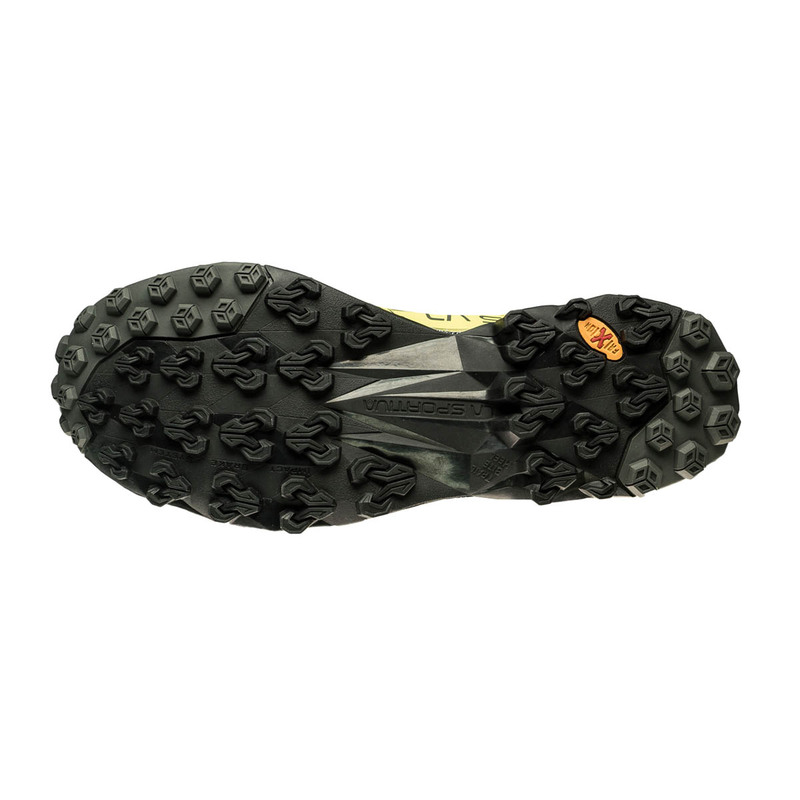 The unique position of the sole’s lugs are oriented in opposing and slanted directions, allowing as many of them as possible to come into contact with the ground over a variety of terrains leading to a better distribution of impact forces and increased grip. Comfort-oriented, better breathability, more durable, and more hygienic. The unique open cell structure creates a moisture management system for increased breathability, and this combined with the anti-microbial agents and washable properties make for a more hygienic shoe. Also has long-term cushioning: insole will retain over 95% of its thickness over time and won’t flatten out. EVA injected midsoles differ from the standard compression molded EVA midsoles by offering a higher degree of cushioning and a better elasticity of the fabric. These features assist “push off” during the propulsion phase while running, making these models ideal for use on off-road trails. Furthermore, EVA injected midsoles drastically reduce the “squash” effect of the EVA over time, allowing the product to maintain the same characteristics and high performance for its entire duration. The lacing system is integrated between the two layers of the uppers, providing both structure and a snugger fit by optimizing volume tension. TPU Thermal adhesive application that gives structure and flexibility, following the movement of the foot while running. Perforated, extremely soft, enveloping, stretch AirMesh provides maximum comfort thanks to the seamless technology (total absence of seams on the forefoot). External engineered Mesh with Flex-Guard™ structural applications in microfibre for protection, flexibility, and weight reduction. The mesh is also structured with differentiated transpiration zones.